Inking It Up With Cathy: Today is Your Last Day to Get This Stamp Set for Free! Today is Your Last Day to Get This Stamp Set for Free! Can you believe today is the last day for Sale-A-Bration this year? 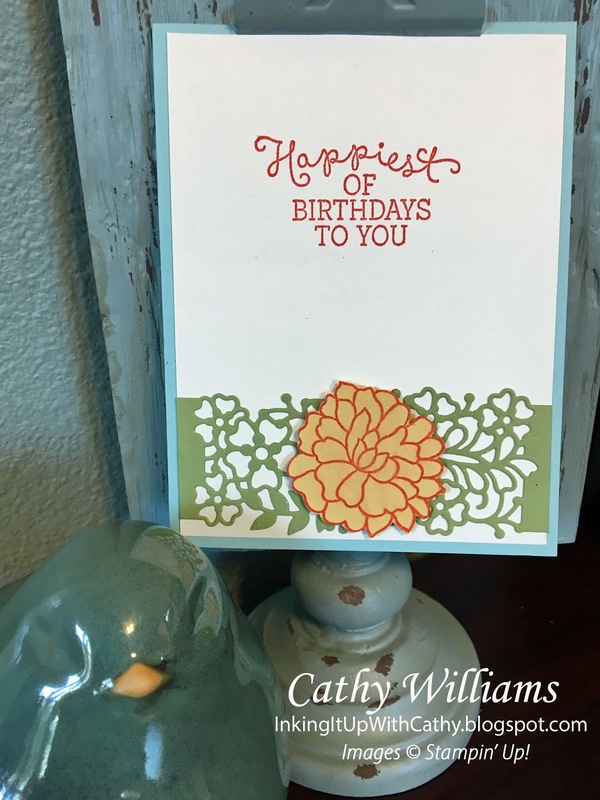 It is the most wonderful time of the year - well, at least stampin' wise! This card was inspired by BK Cards. 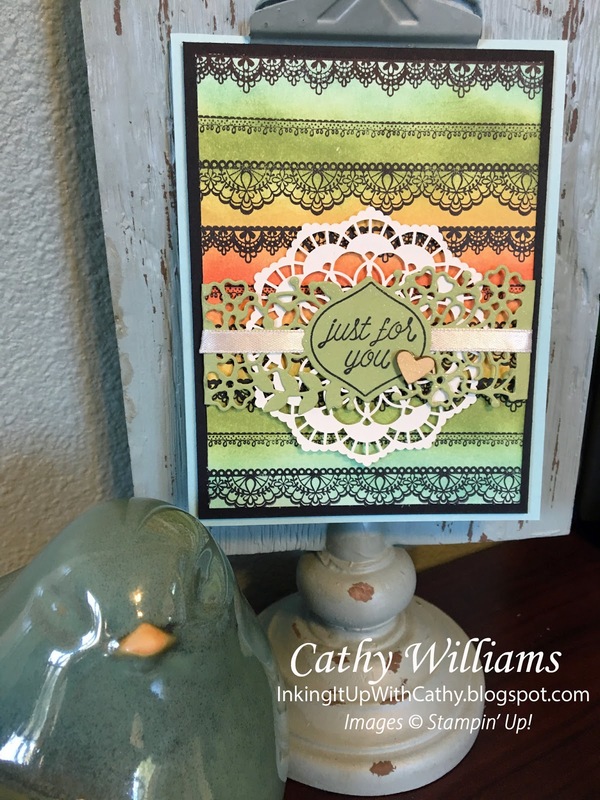 The cool part is that you can place all of your lace stamps onto one block and stamp them at one time. Then just drop down and stamp again until you fill the Whisper White piece of card stock. Then choose your colors and a sponge and sponge in lines. 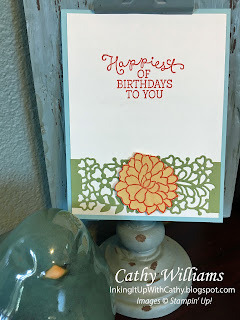 The border is cut from the So Detailed dies and stamped with the So in Love stamp set. A TIP FOR YOU: Stamp your sentiment first. Then stamp the frame around it. Finally, cut it out. This way you get it all lined up perfectly! 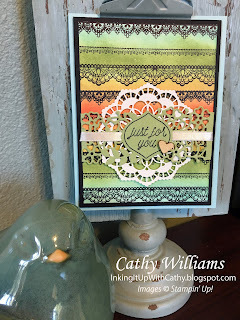 A lace doily, some Very Vanilla ribbon and one of the Sending Love embellishments finishes off the card. I snipped a little opening on the die cut to feed the ribbon through on one end. The other end was open and allowed the ribbon to go through.